This came back home from my son Otto’s first-grade class. This came back home from my son Otto’s first-grade class. 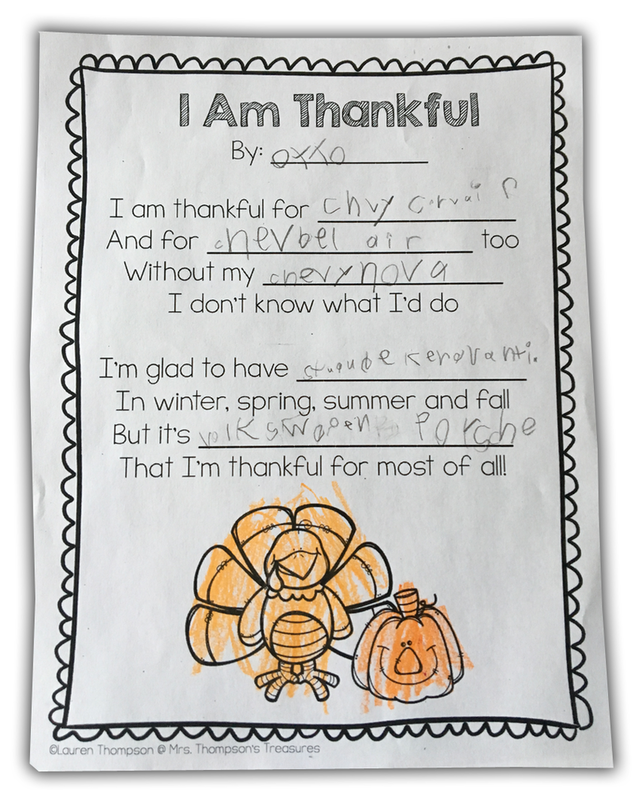 It was a Thanksgiving assignment, where he had to write what he was thankful for. The first three entries are all Chevys— Corvair, Bel Air, and Nova. Based on that, you’d think he’s becoming a Chevy guy, though the Corvair is a pleasingly niche choice. Then, we see entries for a ‘Studubeker’ Avanti and then he writes ‘Volkswagen Porsche,’ but because he’s my kid, I know he means the VW-Porsche 914.